A federal judge sides with a New Jersey company against a medical marijuana-using worker, Egypt bans "synthetic hashish," a Mexican state advances a bill to decriminalize opium production, and more. New Jersey Business Can Drug Test Medical Marijuana Patient, Federal Court Rules. A federal district court judge has ruled that a New Jersey business does not have to waive its requirement for mandatory drug testing to accommodate a worker who uses medical marijuana. The worker had sued the company after it wouldn't allow him to return to work unless he submitted to drug testing. "New Jersey law does not require private employers to waive drug tests for users of medical marijuana," Judge Robert Kugler wrote in his decision. He also noted that "unless expressly provided for by statute, most courts have concluded that the decriminalization of medical marijuana does not shield employees from adverse employment actions." Bolivia President Says He Wants to Return to Coca Farming, But Country Wants Him. President Evo Morales said Thursday he will seek a fourth term in office, citing broad popular support. "The people ask me to return, I do not want to... I want to return to my region to harvest coca, that's the great desire I have, but it is not easy to reject it when the people push you," Morales said. 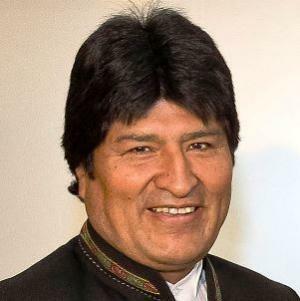 Morales has led the country since 2006, during which period poverty levels have fallen by 3.5%. Egypt "Synthetic Hashish" Ban. The Health Ministry this week officially banned six forms of "synthetic hashish," or synthetic cannabinoids. The ministry said the ban applied to six "extremely addictive" substances, but it did not provide the technical names for the banned substances. Mexican State Moving to Legalize Opium Production for Pharmaceutical Purposes. A legislative committee in the state of Guerrero, Mexico's opium production epicenter, has approved a draft bill to decriminalize the production and sale of opium for pharmaceutical purposes. If the bill is approved by the state legislature, it would then be sent to the federal congress for approval. The law is designed to reduce the impact of federal law enforcement on local producers, but critics worry such a law could be used fraudulently by drug cartels supplying heroin to the US. Here's the thing -- the marijuana legalization community faces a choice. It must either: a) fully and completely renounce Trump; or, b) abandon all principle and integrity. Here's why that is true: If the marijuana legalization community rejects the lies called "Reefer Madness" then it must also reject the lies called "alternative facts", or else it loses all credibility. Conversely, if the marijuana legalization community does not stand united against Trump, Trump's "alternative facts", and the injustices that follow as a result, then the marijuana legalization community loses the moral authority to challenge the prohibitionists false claims and pseudo-science, and the injustices that follow as a result.